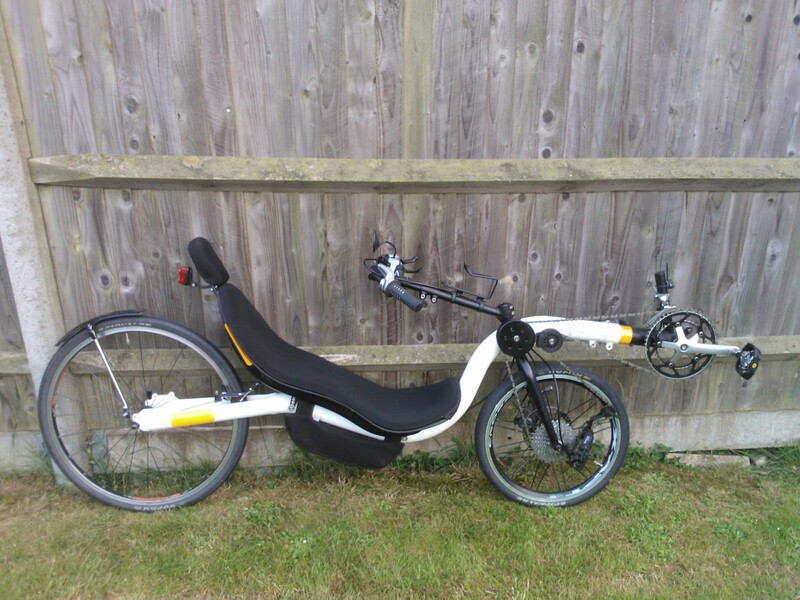 I have recently re-entered the Recumbent bike underworld and purchased a second hand Raptobike Lowracer for a very reasonable price. I still like looking at the minimalist rear mudguard. I’ve finally taken the beast out for a ride around the test loop and first impressions are very good. I managed a moving average of 18.5 mph, which compares very well with my record for this route of 19.1. I think the route favours climbing and my recumbent muscles are definitely not in as I’ve only been round the block a few times and one slow ride. My rear light also fell off at the very fastest point. I stopped the timer while I went back to look for the bits (found them all eventually! ), but it would have cost some speed. Speed up the hills is noticeably better than on the Windcheetah trike and probably only loses out to the upright because I can’t stand on the pedals. Almost there with stability, but wobbled once indicating left (right is no problem for some reason).